This weekend: GetHiking! with us - GetGoing NC! 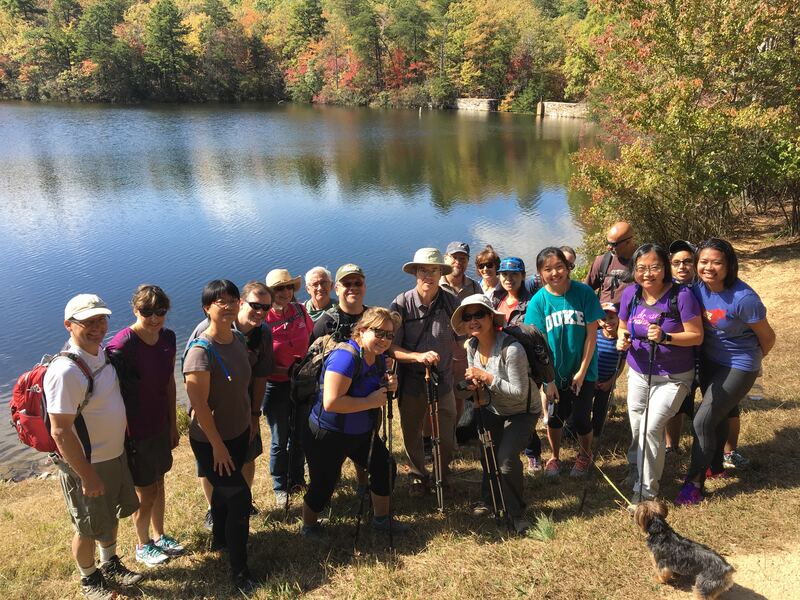 Start your weekend Friday evening with a Friday the 13th evening wander around Lake Waccamaw, then spend what promises to be a glorious Saturday high in the mountains at the Elk Knob Headwaters Community Day, or join us in Raleigh at Umstead State Park and get hiking — with our new GetHiking! Triangle program. Exploring a natural mystery in the dark? We’re in! Especially if it’s a chance to explore a place with as much mystery and intrigue as Lake Waccamaw. Lake Waccamaw’s Friday the 13th Park After Dark event gives you the opportunity to do a night wander in a swamp, amid plants that eat meat and around the mystery that is Lake Waccamaw, a Carolina Bay described as “one of the greatest geological mysteries of the eastern United States.” Was this (and the thousands of other bays that once dotted the eastern seaboard) the result of an alien invasion (in the form of meteorites)? Something to think about as the gloam turns to night … . Logistics: Friday, September 13, 7 p.m. Free. Learn more about the park here. Friday forecast: A cold front moves through, dropping the daytime high of 90 to an overnight low of 59. 30 percent chance of rain. Above the Company Mill Trail, at Crabtree Creek. We’re going to promote ourselves this week, without reservation. Saturday marks the first hike in our new GetHiking! Triangle program (a program we hope to spread). Working with our sponsor, Great Outdoor Provision Co., our goal is two-fold. One, to get aspiring hikers out the door and into the woods. 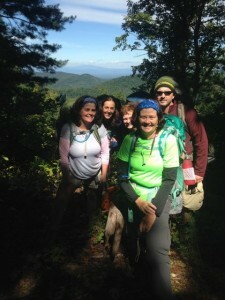 If you’ve taken a hike or two in your life and liked it but, for whatever reason, haven’t hiked more, GetHiking! Triangle is for you. 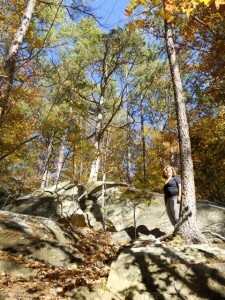 We aim to take the mystery out of hiking and to expose you to some of the great trails in the Triangle and beyond. Our second goal is to take more experienced hikers who find themselves hiking the same trails week after week and expose them to the vast network of trails in the Triangle, the Piedmont and statewide. 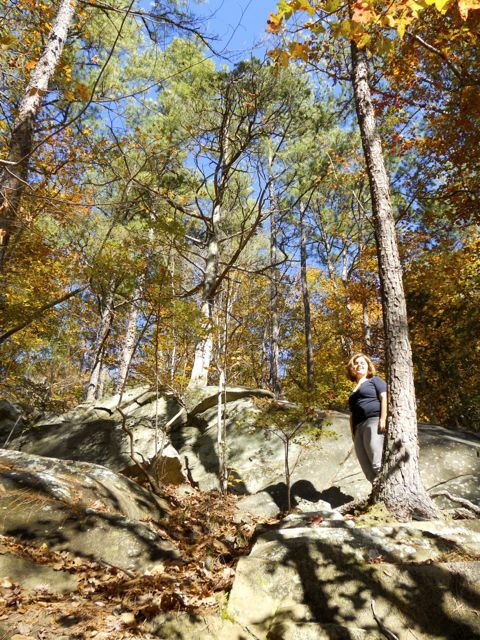 You can keep tabs on our weekly hikes and other activities by joining our GetHikingTriangle! Meetup group. And if you don’t have plans for this Thursday night, we’ll be kicking off the program at Great Outdoor Provision Co.’s Cameron Village store at 6:30 p.m. We’ll talk about where we’ll be hiking this fall (with slideshow), we’ll have refreshments (including a local craft beer tasting) and everyone gets a free pair of SmartWool hiking socks! 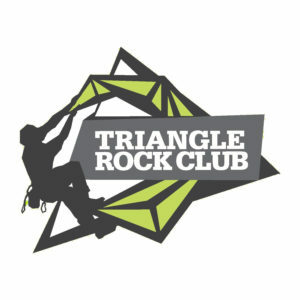 Logistics: Saturday, Sept. 14, 8 a.m., Umstead State Park (Harrison Avenue entrance off I-40). More info here. Saturday forecast: High of 75 (likely in the low to mid 60s at the start), sunny, low humidity. How do you make a mountain hike in September even better? By adding a pot luck. That’s the plan at Saturday’s Elk Knob Headwaters Community Day at Elk Knob State Park in Todd (between Boone and Jefferson), where all sorts of fun is planned between 11 a.m. and 5 p.m. Lunch will be served at noon (bring a dish), followed by an afternoon of music, cultural and historical displays and demonstrations, a silent auction fundraiser, raffle, interpretive programs, arts and crafts, kids games, wagon rides, hikes and food. And don’t forget to work in a hike through a northern hardwood forest consisting primarily of sugar maple, yellow birch, American beech and yellow buckeye to the 5,520-foot summit of Elk Knob. If it’s a clear day, the view is one of the best in the state. 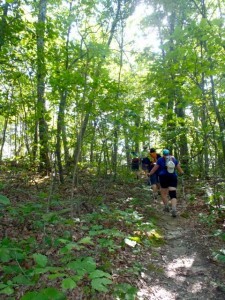 Logistics: Saturday, Sept. 14, 11 a.m., Elk Knob State Park, Todd. More info on the festival and the park, here. Saturday forecast: High of 64, partly cloudy.